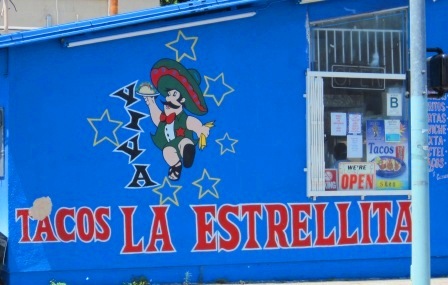 Down the street from Al and Bea's is Tacos La Estrellita. A lonely looking taco stand in an area of town where the taco competition heats up the further you head east. 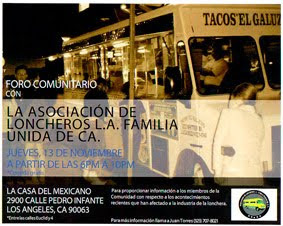 At first glance it looks to be part of the La Estrella family of taco stands. 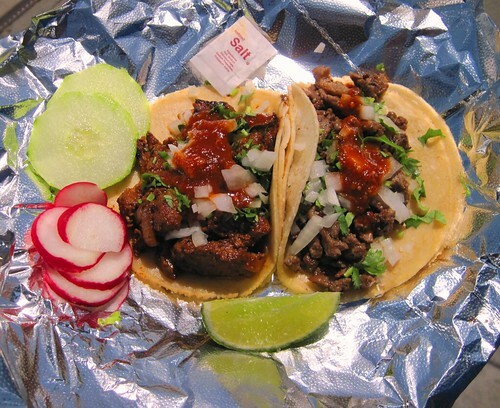 There are a lot of taco stands and trucks that go by the name La Estrella but not all are under the same ownership. It can get confusing but as far as I know the Highland Park La Estrella’s are not related to the Pasadena La Estrella’s. I had just finished eating at Al and Bea’s so I only went with two tacos. 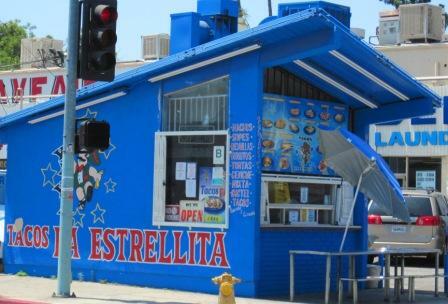 The asada tastes just like the asada from the La Estrella stand in Highland Park. But the al pastor tastes nothing like the al pastor from the Highland Park La Estrella. The pastor from the Highland Park La Estrella is carnitas like in its texture while this al pastor was thick chunks of pork. Both are good but I prefer the al pastor from the Highland Park La Estrella. Both the asada and al pastor could have used more salsa. I got back into my car and was about to head east when my stomach started to tighten up. It was the burritos from Al and Bea’s. I forgot how heavy Mexican comfort food could be. I had planned on heading east with Al and Bea’s as the first stop but I had to throw in the towel. It was time to head back west, the east could wait.